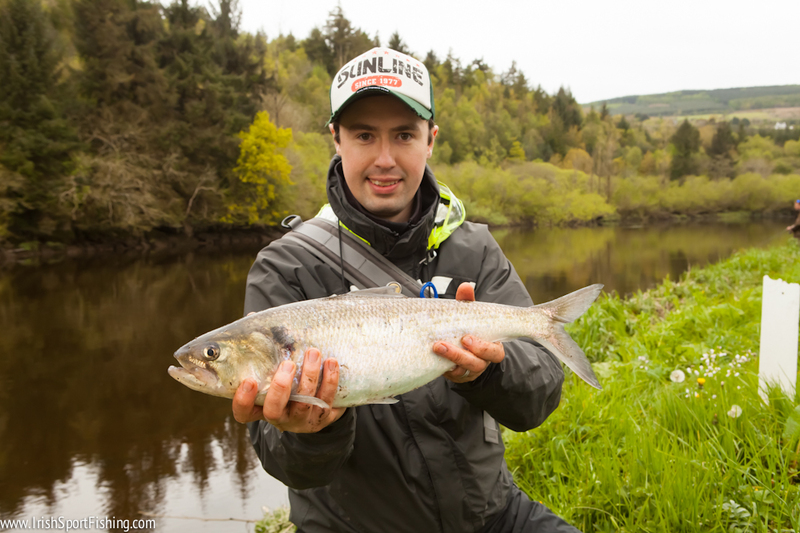 The River Barrow at St. Mullins is famous for its Twaite Shad fishing. 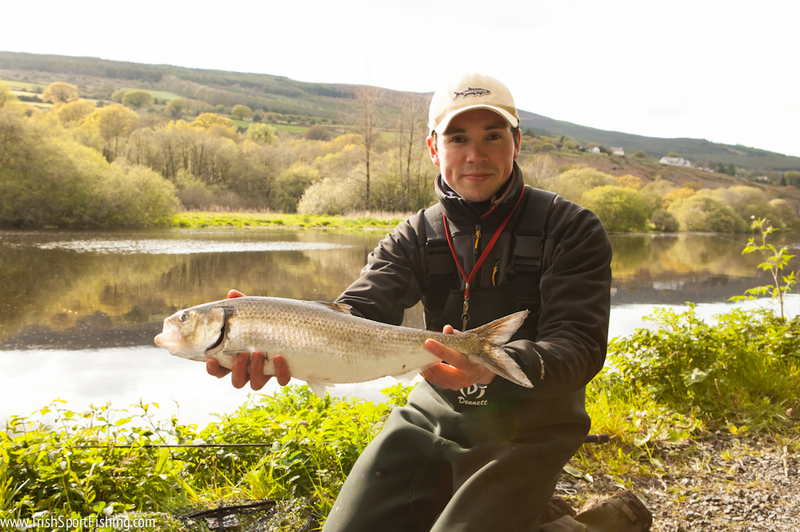 Nestled in the Barrow Valley under the Blackstairs Mountains and Mount Brandon, the Shad navigate their way upstream to the gravel beds at St. Mullins each year to spawn, before returning to the sea. 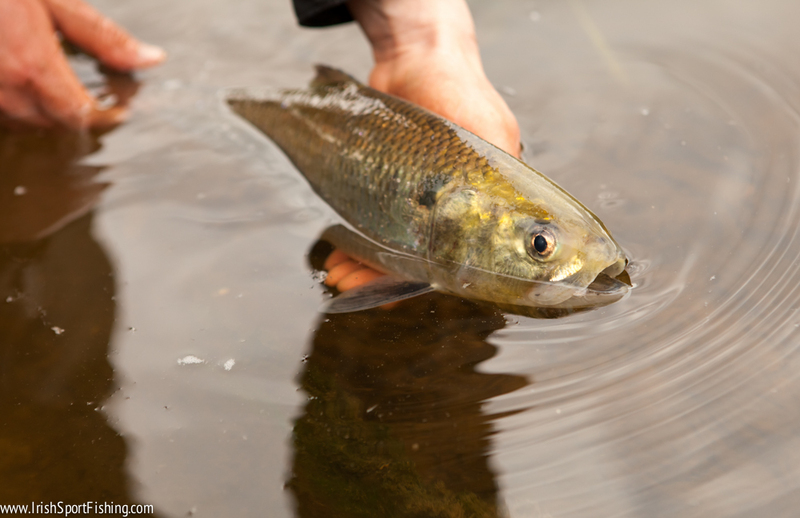 During this short period lasting only a few weeks, hundreds of anglers make their way to the river bank to sample the great sport which the Shad provide. With low tide around midday, i decided an early start was in order to be at the river fishing for high tide around 6.30am. There was a fair bit of rain during the week which had me worried about the water level and clarity, and being woken by heavy rain at 3am didn’t help to ease those worries one bit! Still, the jeep was packed and i was going no matter what the weather. When i arrived at St. Mullins I expected to see a torrent of brown water, but as i drove down the hill into the valley i was pleasantly surprised. The river looked in great order – not too high and with a decent level of clarity. 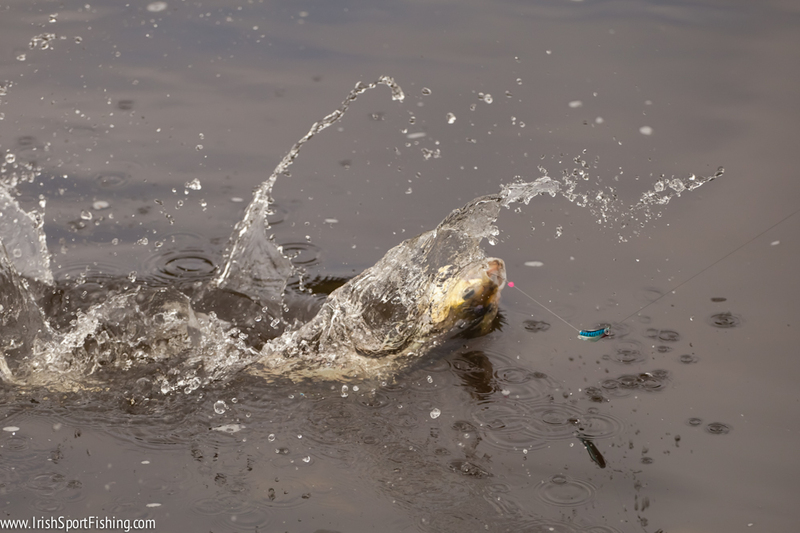 The sun was out, the Mayfly were hatching, the birds were singing, and more importantly the fish were splashing. This really is a special place when the conditions are right. I met Dave and Ronan there, and the three of us tackled up with similar outfits. Lightweight spinning rods, small fixed spools, light braided line and a Tasmanian Devil (no.13, Blue & Silver) on the business end. There is nothing complicated about this fishing. I used the same lure all day without losing anything to snags, and without feeling the need to change to anything different. We were into fish from the start, and my first hit me about five yards out. This turned out to be the biggest of the day at 3lb 1oz (1.39kg). Try as they might, Dave and Ronan couldn’t quite match my fish for size, though they came very close on several occasions! I was happy to see Dave’s biggest fish of the day fall just one ounce short of mine. We lost count of how many we caught (40-50 perhaps), with 8 or 9 of those over the specimen weight of 1.1kg. None of us were interested in claiming a specimen badge so we were able to release them with the minimum of fuss, only stopping for quick photo and weigh-in if we thought it warranted it. 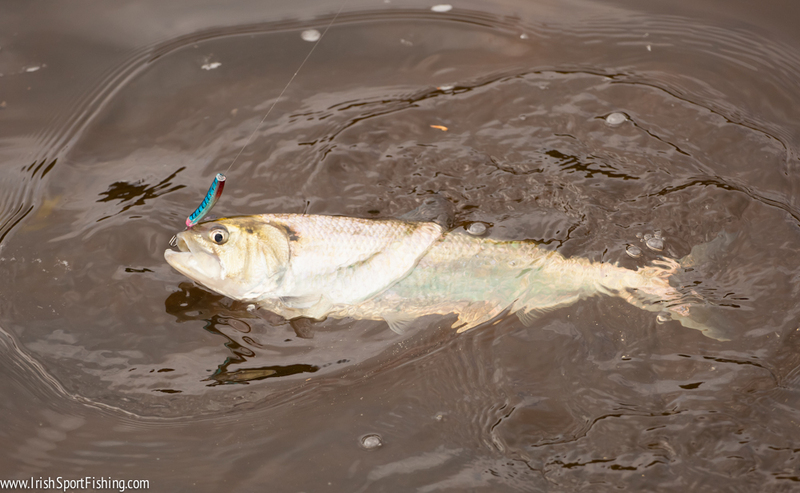 Shad put on a great display when hooked, often tail-walking across the surface. The number of fish that threw the hook was incredible, and this added to the number of missed hits meant that the sport was constant throughout the day. 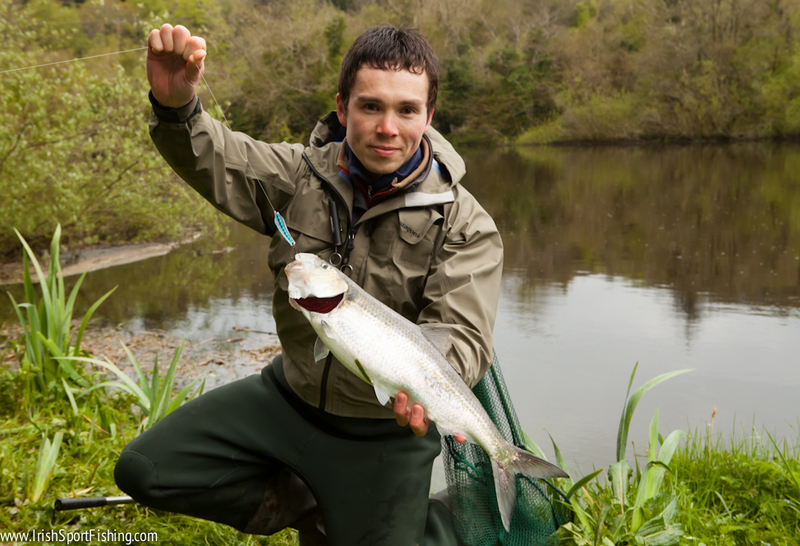 I would urge all anglers to take a couple of minutes to return each fish carefully. 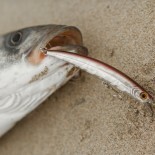 They are a delicate fish, and often need to be held upright while they get their breath back. 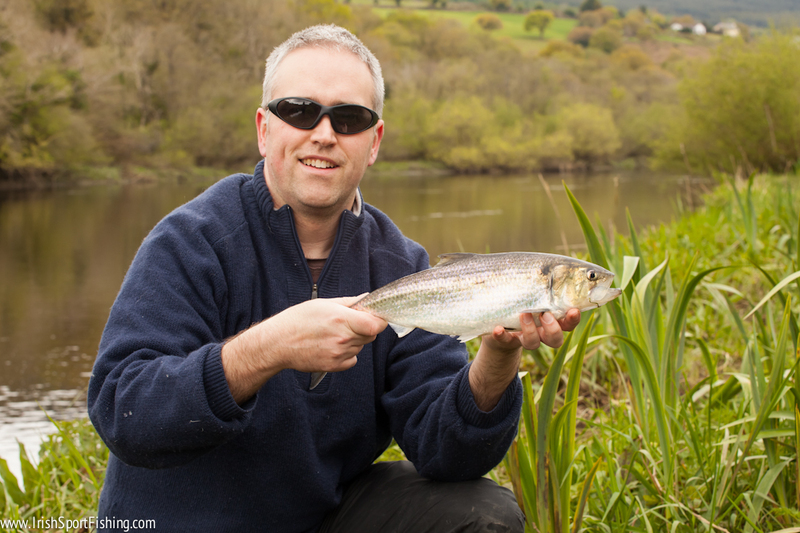 Make an effort to climb down the bank into the river and don’t simply drop the fish back from a height. We spent up to five minutes reviving fish, but they all swam away strongly in the end. 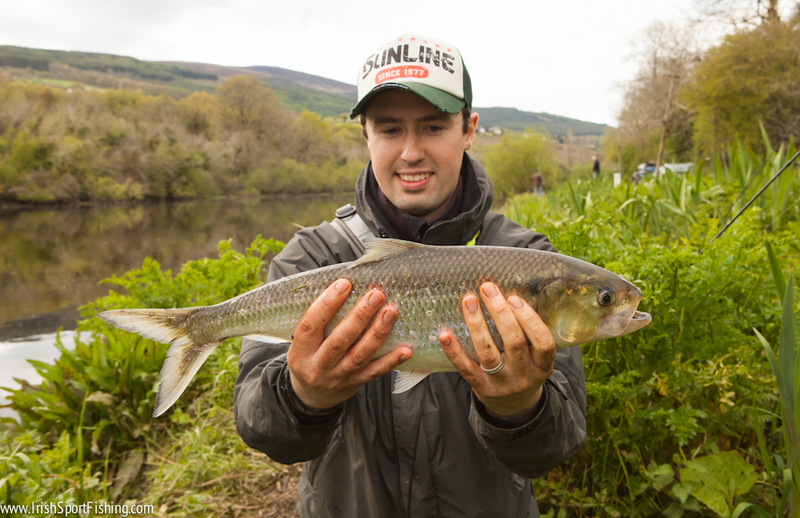 The River Barrow is the only river in Ireland worth fishing for Shad these days and it would be shame to see them disappear. 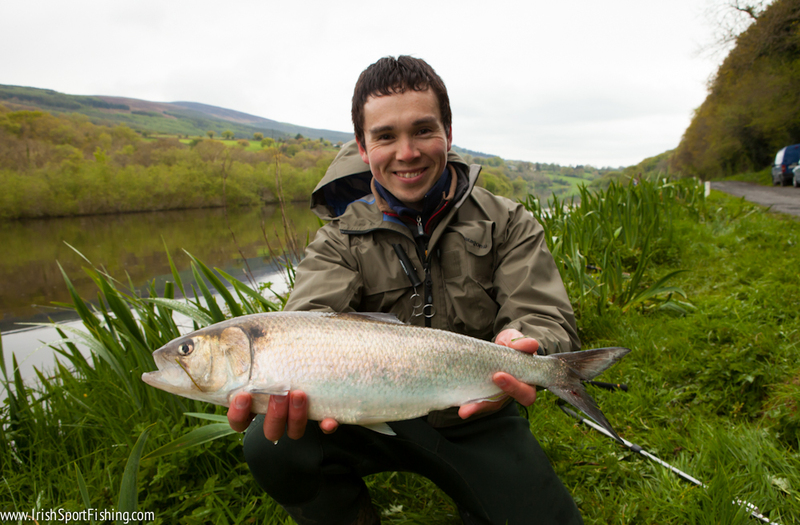 Shad are a great sporting fish – the Irish Tarpon! Cheers Ged, catch you again soon. This entry was posted on May 7, 2012 by steve and tagged Irish Specimen Fish, Irish Sport Fishing, IrishSportFishing, irishsportfishing.com, Shad Fishing, St. Mullins, Tasmanian Devil Lure, Twaite Shad, www.irishsportfishing.com.